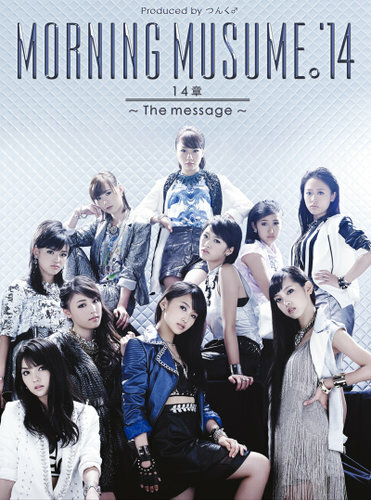 Two days ago Morning Musume released their 14th album ’14shou ~The Message~’, the last album featuring Sayumi Michishige, and the first album (not counting the coupling collection and the best updated) featuring Sakura. I had been waiting for the announcement for this album for quite a while… I really love this line-up and I’m glad they finally released an album with this line-up, although it will be the only one… I ordered the regular edition and received it today myself and immediately gave it a listen! The album covers were a little disappointing though… The outfits and styling remind me a lot of the covers of the coupling collection. I wish they would have done something more original and outstanding. The album starts out with the album version of their recent A-side ‘TIKI BUN‘! The album version isn’t very different from the single version. I quite like the song, the small added details for the album version are nice as well, but there’s no big changes. Nice song to open the album! After that follows ‘Password is 0!’I still like to listen to it, I especially like the dance that goes with it. Not much to say about it. After that follows the first album original song; ‘Asu wo Tsukuru no wa Kimi‘. I definitely wasn’t expecting this type of song from them, but I really love it! Everyone sounds great singing it, I love how calm and relaxing it is, I’d love to see them perform this live! Definitely a lovely song! What follows is Riho’s and Sakura’s duet ‘Kirari to Hikaru Hoshi‘. It’s their second duet together, and this one is really way better than their first one. It was a pretty obvious choice to have the two main vocalists of the group do a song together. Honestly I wasn’t looking forward that much to this one, since I’m not a big fan of Riho’s singing and their previous duet wasn’t that great… But now this might be my favorite song from this album! I really really love the song. I actually quite like Riho’s voice in this, Sakura sounds great as usual. Their voices go well together as well as with the song. I hope when performing live, Riho will sound as good in the recording, I really can’t wait to see them perform this live! After that it’s Sayumi, Mizuki and Haruna’s song ‘Koibito ni wa Zettai ni Shiraretakunai Shinjitsu‘! The leader and the sub-leaders! I was wondering what they would do with this, since you have Sayumi and Haruna, two weak (almost bad) singers, and Mizuki who is a pretty good singer! It’s a quite upbeat and almost a bit video game-y song, which fits them quite well! It isn’t really memorable song though, I feel like they could have done something a little bit more unique. It’s fun to listen to, but I feel like I’ve already forgotten it. Following is an A-side, ‘What Is LOVE?‘, not my favorite, but still a fun song to listen to! Then, another album song ‘Watashi wa Watashi Nanda‘! It features all members, and I quite like it. It’s has the current MM sound. I think all members got small solo parts as well, which is nice. The members sound good, and the chorus sticks in your head. Other than that, it doesn’t stand out much. It’s still a really nice song though! Another album song; ‘Waraenai Hanashi‘, another song featuring all members! Starts with a short weird english rapping part, but that’s H!P after all. Another song a current MM sound. Like the previous one, it is a quite nice song. But again not really outstanding. The most outstanding part is actually the weird rapping part… I think they could have given some lines to the back row members, at leas that would have been something. After that two A-sides follow; ‘Egao no Kimi wa Taiyou sa‘ and ‘Kimi no Kawari wa Iyashinai‘. I quite like both of this, they’re both good A-sides I think… Although Egao no Kimi wa Taiyou sa is a very boring song for live performances. The last album song is ‘Otona ni Nareba Otona ni Nareru‘, sung by Erina, Kanon, Ayumi, Masaki and Haruka. I love this one! Which might have something to do with Kanon having solo lines… But I really like it, it’s a very energetic song and I think it really fits the members singing it. I especially like the chorus, the verses are just a tiny bit bland, but it’s still interesting since these are members you usually don’t hear… With the exception of Masaki and sometimes Ayumi. 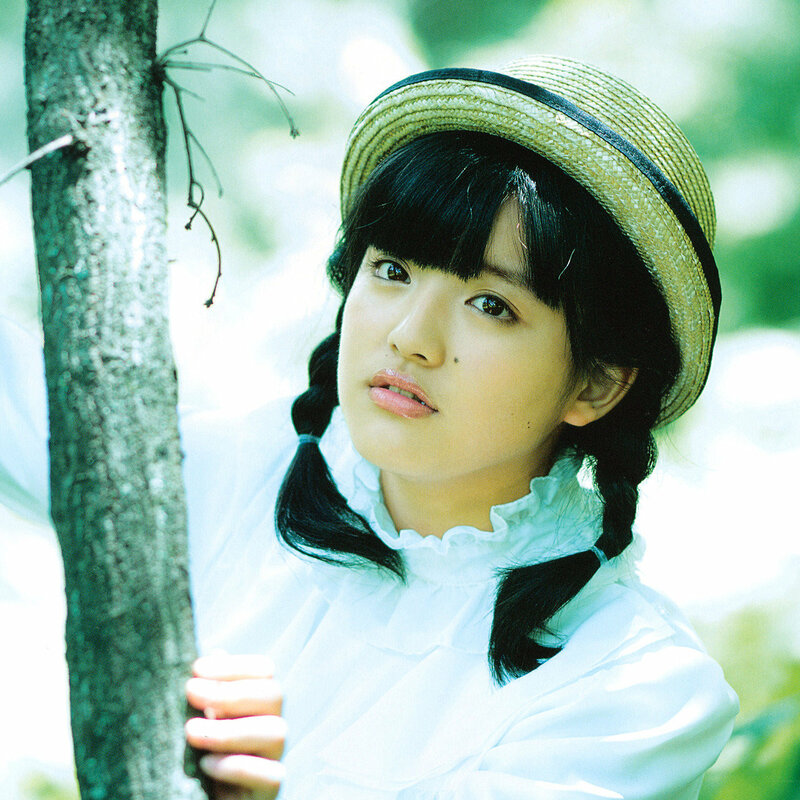 The album ends with ‘Toki wo Koe, Sora wo Koe‘, which ends the album in a really relaxed and calm way. I still love this song a lot! Favorite Pick: ‘Kirari to Hikaru no Hoshi’ is definitely my favorite of this album. It’s quite a miracle since I’m not a big fan of Riho’s singing, but I think she sounds good in this one. Sakura sounds great as always! I just hope they’ll sound as good live as they do in the recording… I’d love to see the performance of this! Least Favorite Pick: ‘Koibito ni wa Zettai ni Shiraretakunai Shinjitsu‘ is my least favorite of the album songs. While I do like it, it does not stand out and is your usual cutesy song for Sayumi, Mizuki and this time also featuring Haruna. Overall Conclusion: I really like this album and was definitely not disappointed! I don’t regret ordering it, instead I’m really happy I did. I love this current line-up, although I’m not always happy with the line distribution, but I think they were pretty fair in this album. When they first announced there would be unit songs I was really excited, until they announced the actual units… They were some pretty obvious choices, Sayumi with Mizuki and Haruna, Riho and Sakura, and the leftovers. But with two out of these three being really good I don’t really mind anymore! In the end all songs were good, although some are still a bit bland. There are some great ones though, and I really love those! Definitely a good buy!